Lewterslounge: It becomes clear how bad a shape the MMO genre is in when the announcement of Classic WoW is the most exciting news we have heard in years. It becomes clear how bad a shape the MMO genre is in when the announcement of Classic WoW is the most exciting news we have heard in years. The most exciting development in the MMO world is the announcement of a re-release of a 13 year old game. There hasn't been this level of excitement in the MMO world since the pre-launch days of GW2. The Classic WoW announcement has also shown the clear rift in MMO communities. One group wants to have "classic wow" with all the amenities of modern wow. The other group doesn't want a single thing changed. What is really interesting is there are very compelling arguments coming from both groups. I think a lot here can be unpacked and talked about. We are clearly seeing the various interest groups within the MMO fandom and how they all want very different things. With classic wow, we are in a position where it is impossible for both groups to get what they want. When you think about it, however, all new MMO's try to appease both groups. They try to please everyone. Maybe this trend is what has run the genre into the ground. 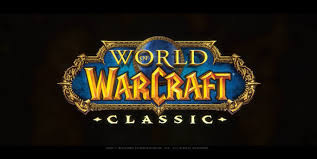 It should be said that I intend to play the hell out of Classic WoW. Assuming blizzard doesn't try to make it a cash grab.